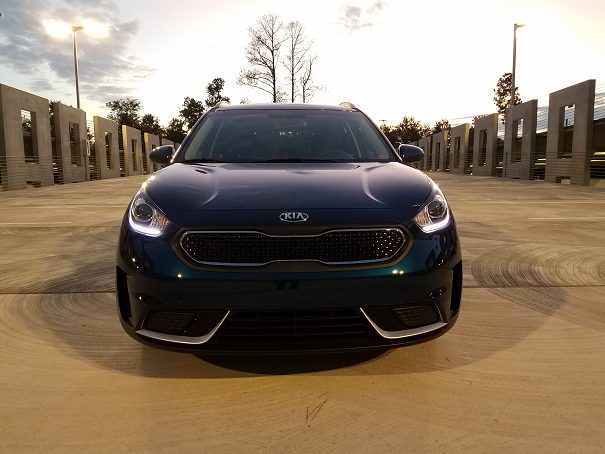 Specifically, a 2017 Kia Niro LX. I have to say I am reallly impressed with the build quality. This car replaced my 2006 Saturn VUE V6 with 204,000 miles. Everything on that car was either totally broken or 99% broken. The engine and transmission (Honda J35) were still pretty solid. We are really excited, especially my wife, since this is her first new car ever! Going from 20mpg to ~55 will be nice. Hit a deer a few years back-major quarter panel damage. Occasionally, after driving at 'high' highway speeds in very hot weather, transmission won't shift into 4th or 5th gear. Have to pull over and let everything cool down. Car is fine after cooldown period. Haha. I also made a list of everything wrong with my old car when I got a new one. It made me feel slightly better about spending money. Slightly. "I have to say I am reallly impressed with the build quality. This car replaced my 2006 Saturn VUE V6 with 204,000 miles. Everything on that car was either totally broken or 99% broken"
Of course you are, and of course it was. It was a 2006 Saturn! 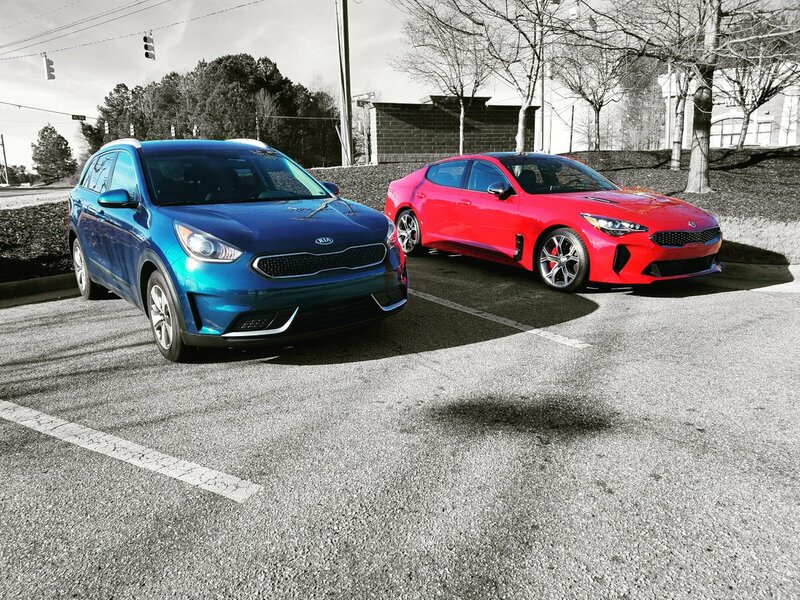 "I was hoping it was the Kia Stinger"
I bought a '12 Forte Koup new in late '11. Going on six years and 72k miles, and it's been trouble-free. It's my wife's car primarily but it was also our trip vehicle until earlier this year when I got something newer. No regrets on the purchase and it's still got 28k of powertrain warranty left. We'd probably keep it until the warranty was up, if not longer, except for the fact that my wife is expecting and I don't imagine it's going to be fun to get a child seat in and out of a compact 2-door. The Niro looks good though. I'd probably be considering one if we were going to replace the Forte with a new car, but I really don't want a second car payment combined with childcare expenses. ^^^^, looks like I need to go by a Kia dealer. Really like what I've seen on the Stinger, and the maxima is at 180k miles now. ^ Also check out the just-released Genesis G70, which will carry the same powertrains as the Kia Stinger. "^^^^, looks like I need to go by a Kia dealer. Really like what I've seen on the Stinger, and the maxima is at 180k miles now." With designers and engineers from Lambo, Audi, and BMW M working for KIA now and involved in the Stinger's development, not surprised I guess! If Kia would only supply cars with 3 pedals that are fun.. They would make great used bargains in a few years. My coworker just bought a fully loaded Stinger GT2! Congrats on the new purchase. I'm not a fan of hybrids in general, but at least you bought an attractive looking one! I have no love for Saturns, but in that car's defense a lot of the stuff that "was wrong" with it were maintenance items that usually are due well before 200k miles. ^^ I can't fathom dropping 50k for the privilege of driving a brand new kia.. But I still see your point. of course no one is cross shopping it with a panamera or a 6 series, that was just to show that it is a capable car, and that has its cost. i can definitely see someone cross shopping it with the 3/4 series, though. by the way, the 365 hp GT can be had for $38K, if you don't get any options or packages, and that's more than a fair price.